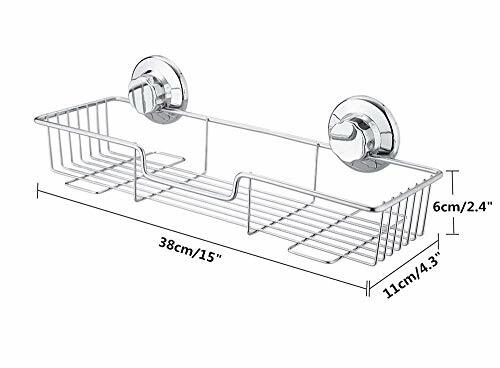 TWO VERSION SHOWER CADDIES- ATTENTION: Only Fit for any NON-POROUS & SMOOTH surface . 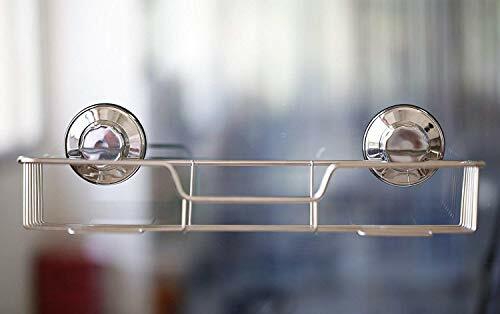 CANNOT maintain on porous or rough surfaces: Marble, Fiberglass, Paint wall, Porcelain , Nano Tiles , Plaster and wood , or across grout lines.When you install the suction cups make sure turn the knob with 7 circles to form the vacuum.This product not work by the sticky but the vacuum.The sticky rubber can help you easier to place the suction cups. Dimensions : 38 L×11 W ×6 H cm . 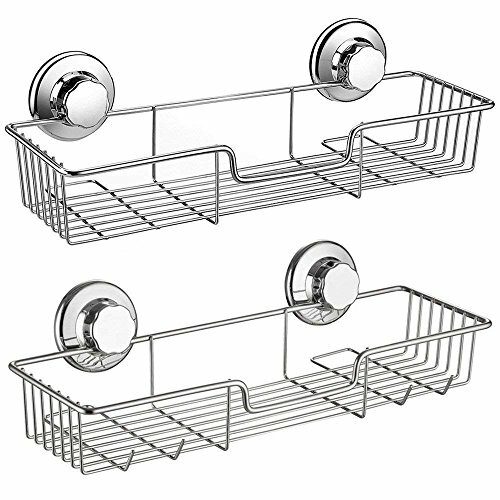 The suction cup diameter is 2-3/4 inches . 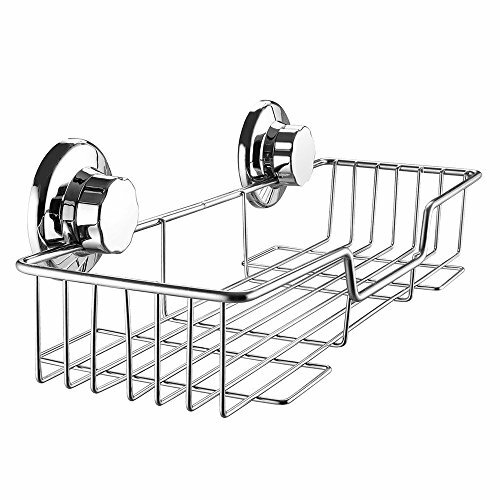 Shower caddy basket wires is made of 304 rustproof stainless steels it can be keeping intact for years . 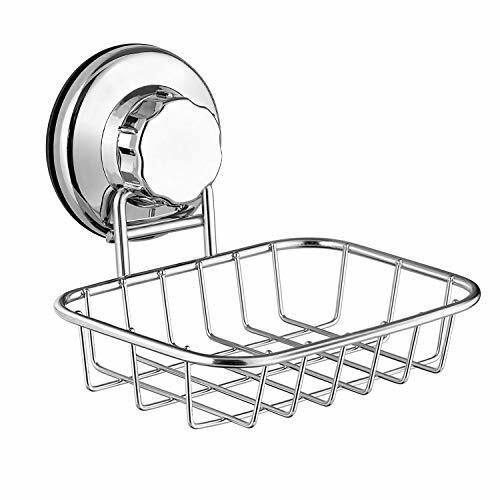 Suction cup is made of ABS plastic with chrome finish , Water proof , demountable and removable . 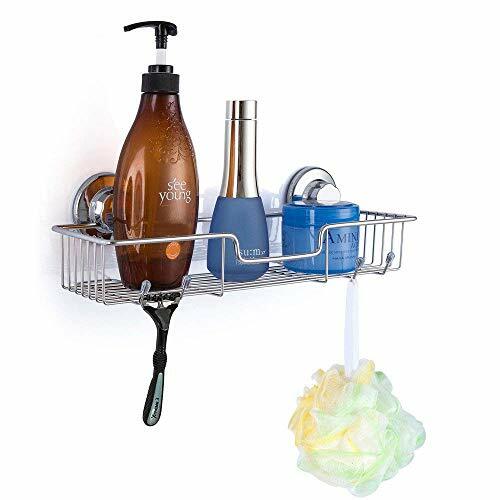 Perfect for Bathroom & Kitchen Storage organizer of shampoo , conditioner , towels , loofahs , bathrobes , kitchen tools , etc anywhere you needed to tidy up storage . 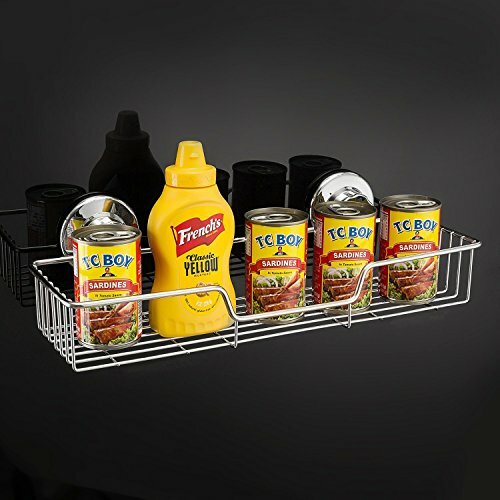 Our caddy is made up of high-strength durable materials which ensure that this organizer holder lasts for years to come . 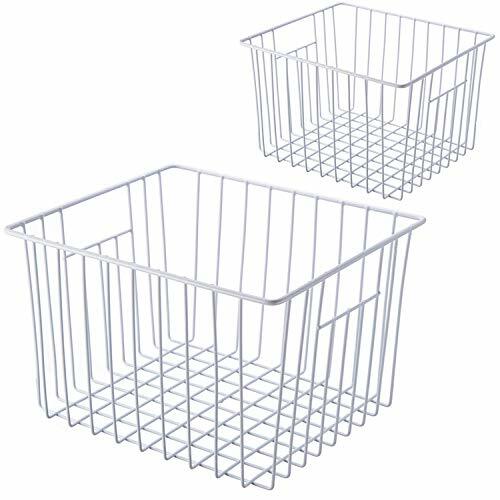 NO TOOLS , NO DRILLING , NO SCREWS , NO HOLES - This prevents any damage to your permanent structure and also allows for flexibility to relocate . 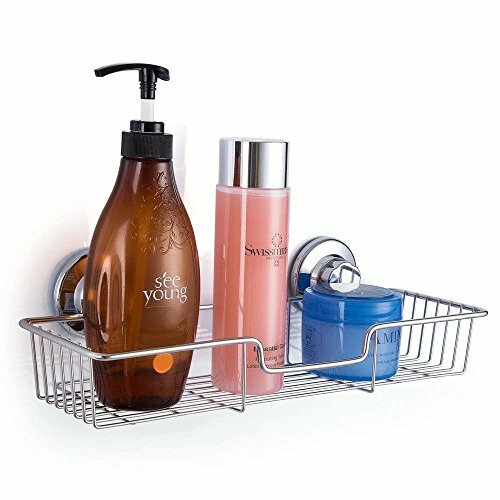 Simply Place Suction Cup Basket on the Tile Wall , Twist & Lock ! 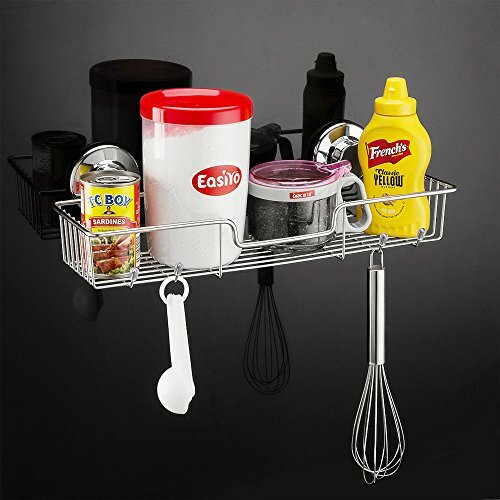 2-Year FREE SUCTION CUPS REPLACEMENT Guarantee ! 180 Days Return&Money Back Guarantee . We're offering the premium quality and the best service . No matter what reason caused you don't love it , we'll replace it or reimburse you every cent back ! PLEASE CONTACT THE SELLER VIA AMAZON FOR THE HELP.